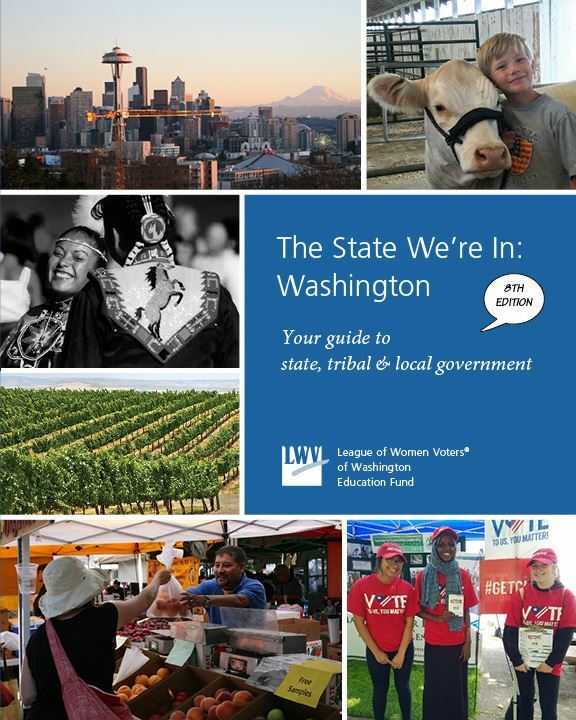 The League produces a highly acclaimed civics textbook, The State We're In: Washington - Your Guide to State, Tribal and Local Government, a friendly, easy-to-read primer that covers the basics of what government is, how it works, and why we should care about it. It is generously illustrated with graphs, photos and drawings. Online versions of The State We're In are available here. These forms also include ordering options for supplementary materials such as the Good Citizen poster (see below) and the Teacher's Curriculum Guide. Questions? Contact the state office by e-mail or call (206) 622-8961. This colorful poster was adapted from a chapter in the League’s civics textbook: The State We're In: Washington - Your Guide to State, Tribal and Local Government. 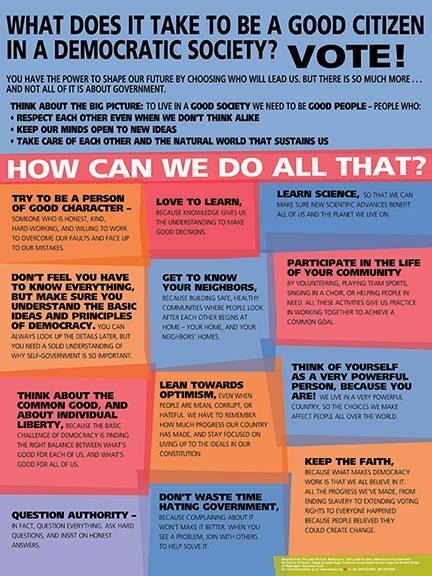 It describes many aspects of citizenship and encourages thinking about things we can do in our daily lives to make democracy work better. The posters, requested by teachers as a visual aid for their classrooms, are also great for use in, libraries, stores, and even in salons and barber shops! The poster comes included with The State We're In Classroom set or may also be purchased separately. Ordering information above. We have a list of quick links to use to find current information about the State Legislature on our Links to Your Government page.